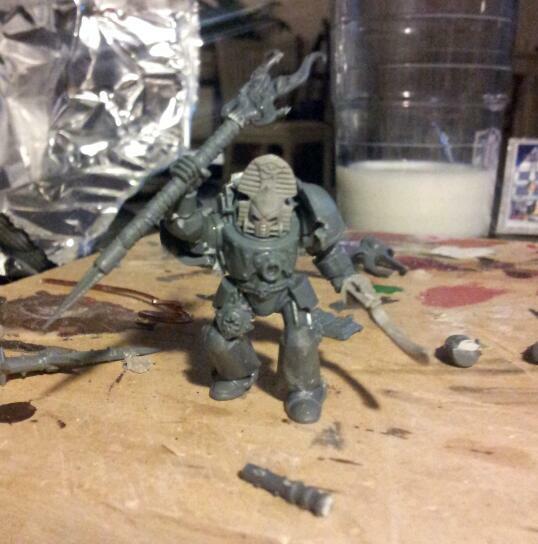 So after this weekends fighting i got more inspired for ma CSM army. And after lots and lots of digging in my bit boxes i found some more parts. So here is my new leader. Legs and arms from the Dark angel veteran box. It looks fantastic!!! I totally love it. I hope you paint them blue and gold. Do you have any own thoughts? Blue and Gold! My dream came true (a nightmare). With a sand white bolter and desert base, it will look dashing. I'm thinking perhaps a light dash of badab in all the joints?